... to this Alltel USB modem (black thing on right) to access the Internet. One drawback to living in the country is the lack of true high-speed Internet access. I’ve been in search of the best Internet connection available ever since we moved to the country six years ago. As a result, I’ve switched Internet providers four times. And while exactly what constitutes high-speed access is relative, none of the options I tried involved dial-up Internet access; that’s simply not an option for someone who works from home and must have fast, reliable, always-on Internet access for her livelihood. Unfortunately in the sparsely populated area of West River South Dakota where I live, no companies have invested in any fiber, wired option for high-speed Internet to those of us in the country. So I’ve been sampling the wireless Internet access options. I went from HughesNet satellite Internet access, to WildBlue satellite Internet, back to HughesNet and most recently to Alltel wireless broadband Internet access. And through it all, I’ve purchased three satellite systems and two routers as I’ve struggled and anguished and yearned for the reliability and speed of the service I had when we lived in town. Initially, the big issues for me were cost, reliability and speed. As my business grew and my kids grew, our reliance on the Internet continually increased. As a result, the biggest issue for me in my most recent Internet service provider change was Fair Access Policy restrictions. I understand that only so much data can be moved over the Internet at any given time, and that everyone should have the same chance to move this data. But I don’t believe 200 or 250 megabytes of data per day is enough for the average household anymore. Not when we are transmitting graphic design files for proofing and printing, uploading pictures for printing and sharing, publishing web sites and blogs, enjoying YouTube, and downloading and purchasing music, television episodes and podcasts. Something has to be done to increase the Internet infrastructure so it can meet our ever-increasing demands. 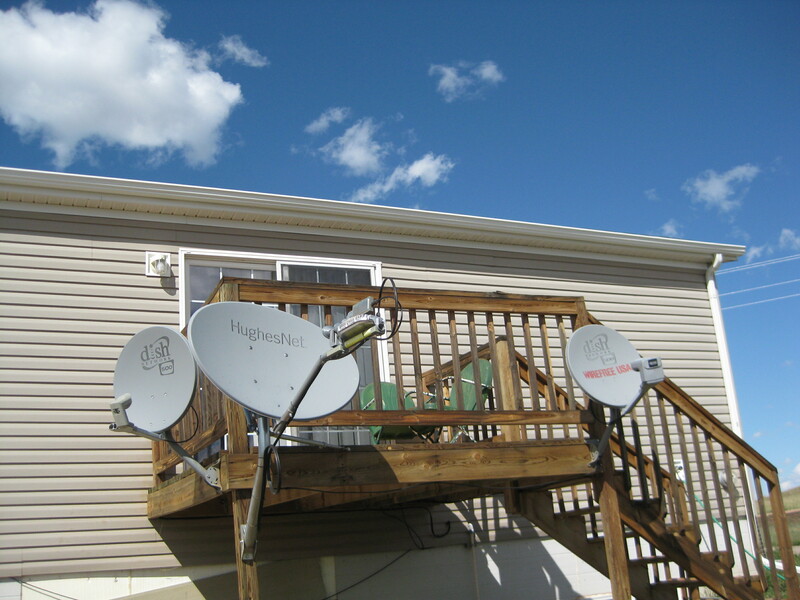 Two satellite services offer Internet access in my area – HughesNet and WildBlue. Both services offer several packages featuring different speeds and allowing different levels of usage. Both companies require customers to purchase or lease equipment, and both allow multiple computers to access the Internet through the use of a standard router. Each company has a different Fair Access Policy (FAP), and those who exceed the allowed usage are “FAPed” or restricted in their access for a certain period of time. Both companies offer e-mail addresses with Internet access, and both require two-year contracts for best pricing, particularly on equipment. Satellite access requires a clear view of the southern sky and access can and will be interrupted by weather including rain, snow, fog and high wind. WildBlue – The basic home package costs $50/month; the fair access policy for this plan allows 7,500 megabytes of data to be downloaded and 2,300 megabytes of data to be uploaded in a 30-day rolling calendar. Installation is also generally free, and equipment costs tend to be less than those for HughesNet. Customer service wasn’t as good, and while neither satellite company will guarantee their speeds, rumor has it that WildBlue has added more customers than it can handle and therefore speeds have dropped for everyone. There are only two companies currently offering cellular service in South Dakota – Alltel and Verizon. AT&T is in the process of taking over the Alltel business in the state since Verizon purchased Alltel and one company cannot maintain a monopoly. 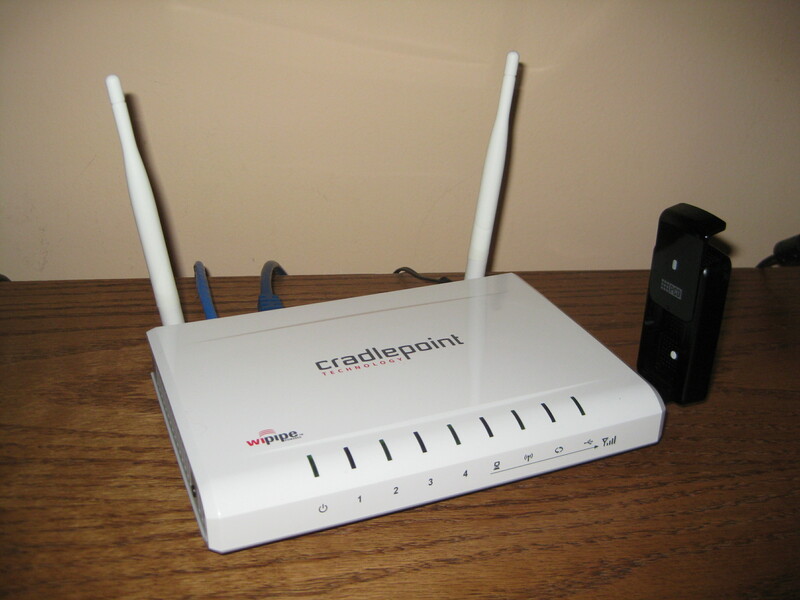 Wireless broadband Internet requires the purchase of a USB modem, which can be plugged directly into a computer or can be plugged into a special router, allowing multiple computers to be online using the same Internet connection. One positive to wireless broadband Internet access over satellite service is that customers can actually access the Internet while traveling, as long as the appropriate cellular connection isn’t lost. But if the USB modem is taken on the road, anyone left at home cannot access the Internet. Customers can also connect a phone with an existing data plan to a computer for Internet access, but the phone cannot be used for voice calls or for text messaging at the same time. And the data limitations of the existing plan still apply. Wireless broadband speeds should increase as local networks are upgraded from 3G to 4G systems. Verizon Wireless – Verizon provides a free USB modem after rebate for customers who agree to a two-year contract. The company also offers a modem in a network-compatible device at a reduced price under a two-year contract. Customers must choose between getting the free modem or the reduced-price network device. Verizon service costs $60/month and allows for up to 5 gigabytes of data to be transferred in a 30-day period. If a customer exceeds the 5-gigabyte limit, access is not restricted. Instead, customers are simply charged an additional 5 cents per megabyte over the limit; so if the limit is exceeded by 1 gigabyte, an extra $51.20 will be charged. Verizon’s nationwide calling plan allows customers to access the Internet from virtually anywhere in the United States. Verizon also offers a 30-day trial period. Alltel – Alltel also provides a free USB modem after rebate, and customers only have to agree to a one-year contract. Or customers can choose to go with a network-compatible device at a reduced price so multiple computers can go online under the same Internet connection. Service costs $60/month, and there is no limit on data transfer. Internet access is, however, limited by Alltel’s service area. Nationwide access is available for an additional $10/month. Alltel offers a 15-day trial period. Alltel customers will become AT&T customers within the next nine months or so. While equipment will need to be upgraded, it will be at no cost to the consumer. And customers will be allowed to continue with the terms of existing Alltel contracts, which means the unlimited data feature should continue to be available even though AT&T does have data limits on its wireless broadband Internet. As I mentioned, I recently switched to Alltel largely because of the unlimited transfer of data option; I was tired of being “FAPped” with HughesNet. I’m actually a Verizon customer for my cell phone service, but the Verizon wireless broadband option still restricted my data usage. I also liked Alltel’s one-year contract rather than two years, so I don’t have to wait as long to change again if I’m not completely satisfied. The cost for Alltel was the same as HughesNet and Verizon, and the speed seems very similar so far. In summary, my Internet speed still isn’t as fast as a true DSL connection, and I do pay more than most folks with the cable/DSL options available in town. But I’m glad there are options other than dial-up for those of us choosing the country life, and I am hopeful that the options will continually get better.